The article is about a bright representative of the Siberian Modern, Leonid Alexandrovich Chernyshev, who made a great contribution to the development of Krasnoyarsk city architecture. On the initiative of the Board of the Krasnoyarsk regional organization of the Union of Architects of Russia the year 2015 in Krasnoyarsk was announced the Year of the Architect Chernyshev to commemorate his 140th anniversary. During the anniversary year several important events will be held to demonstrate the architect’s creative heritage both to architects and citizens. USPENSKAYA, Olga. Architectural Trend of the Epoch: Architect Chernyshev as a bright representative of the Siberian Modern. 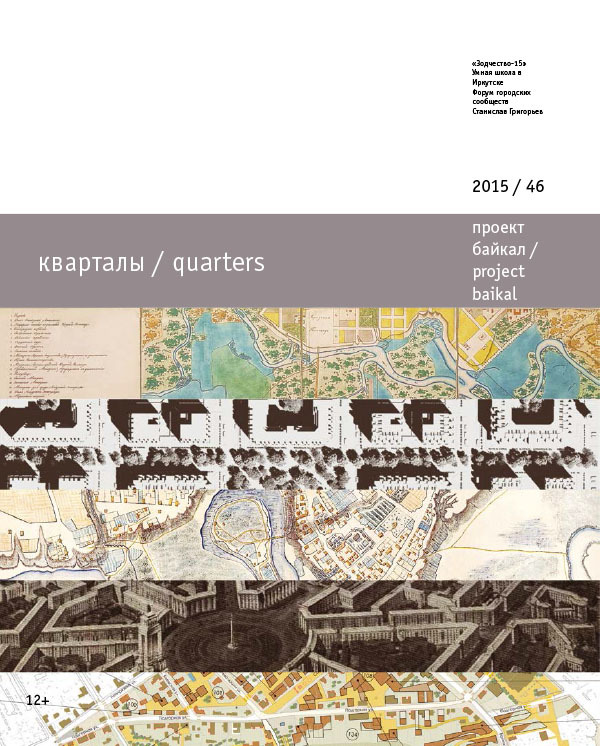 project baikal, Russian Federation, n. 46, p. 154-155, dec. 2015. ISSN 2309-3072. Available at: <http://projectbaikal.com/index.php/pb/article/view/969>. Date accessed: 26 apr. 2019. doi: https://doi.org/10.7480/projectbaikal.46.969.